Britain's biggest department store John Lewis said it needed to invest heavily in its online business this year after 40 per cent of total sales came from the internet over Christmas, showing the speed of change ripping through the industry. Britons have embraced online shopping in recent years, with new collaborations enabling shoppers to buy online and pick up goods at a network of third-party outlets such as petrol stations, railway stations and post offices. The drive to make online shopping fit more easily into customers' lives has ramped up sales and put Britain at the forefront of the move, with trading updates released this week showing those firms with the best online offerings performing strongly. Online-only fashion retailer ASOS said it would also accelerate the pace of its infrastructure investment as it expects sales to rise by nearly a third this year following bumper demand over the Christmas period. "Although we expect to report profits up on last year, trading profit is under pressure," said Charlie Mayfield, chairman of the John Lewis Partnership. "This reflects the greater changes taking place across the retail sector. We expect those to quicken, especially in the next 12 months." 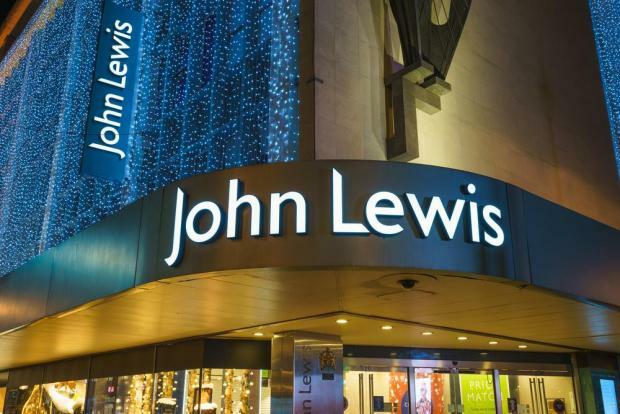 John Lewis has been among those leading the way in online sales in recent years but it said that although it had enjoyed a strong Christmas performance, it now needed to rebuild to prepare the business for even faster change. John Lewis said it would speed up aspects of its strategy, which would involve a period of significant change, investment and innovation. It did not say how much it would spend on the programme. The John Lewis Partnership, which also owns the upmarket Waitrose supermarkets, said it also expected profit to be affected next year by increasing costs linked to the fall in the pound following the vote to leave the European Union. The John Lewis department store posted underlying sales up 2.7 over the six weeks to December 31, with online sales up 11.8 percent and shop sales up 0.8 percent. Waitrose like-for-like sales rose 2.8 percent.